To skip to a subsection of this topic, choose from the links below. To register an account, go to www.mackin.com and select LOGIN. Fill in all of the requested fields. Please Note: Passwords must be between 6 and 50 characters in length. Additionally, passwords are case sensitive, and special characters are allowed. Review our Terms & Conditions and click the checkbox to accept them. Click the Register button to create the account. Note: A MackinVIA account is not required. 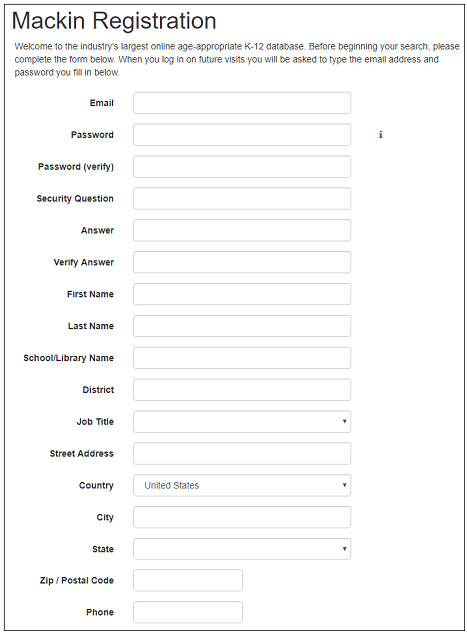 However, if you are interested in establishing an account for your school or library, click the checkbox. 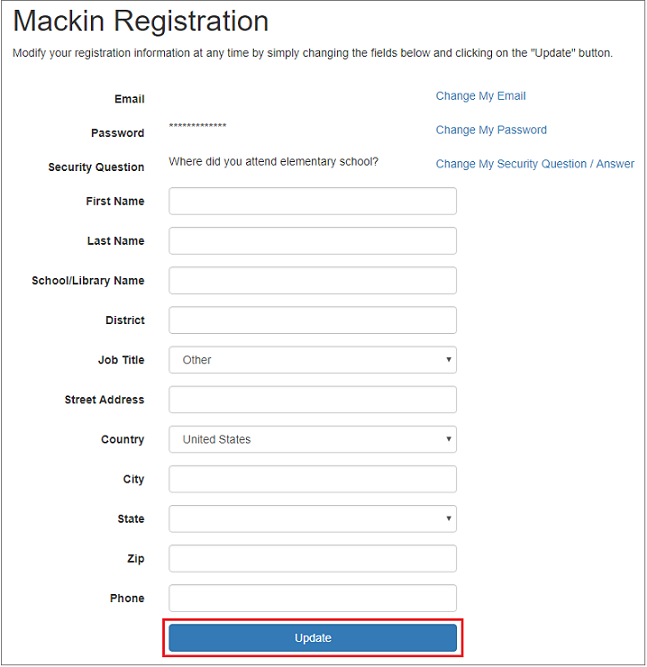 Once you have created a Mackin.com account, you can change/modify your registration information at any time. Log in to www.mackin.com and go to My Account > Manage Account. The Mackin Registration form will display. Change/modify the desired information. To change your email, select Change My Email. 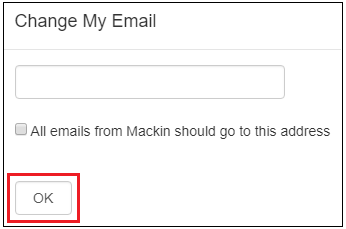 Enter your new email address and check the box if you want all emails from Mackin to go to this address. Click OK when you are finished. 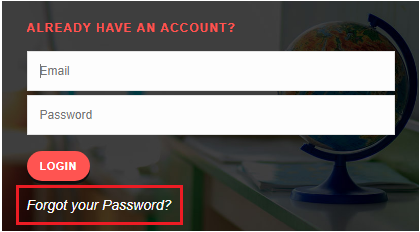 To change your password, select Change My Password. 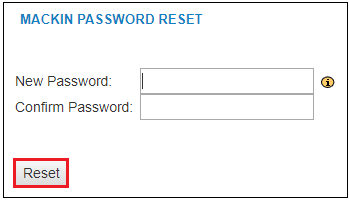 Enter your old password, select a new password, and then verify it. Click OK when you are finished. Click the Update button when you are finished. 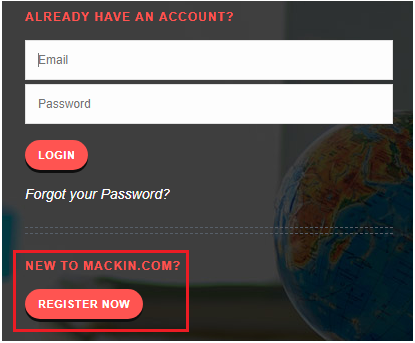 If you can’t remember your Mackin.com password, go to www.mackin.com and select LOGIN. Enter your email address and click the Continue button. Enter the answer to your security question and click Check Answer. 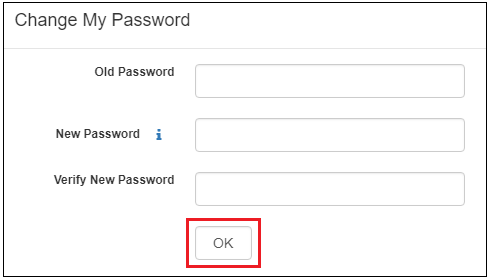 Select a new password and then confirm it. Click Reset when you are finished. If you do not remember your email and/or security answer, please contact our Customer Service team at 1-800-245-9540 or email customerservice@mackin.com. 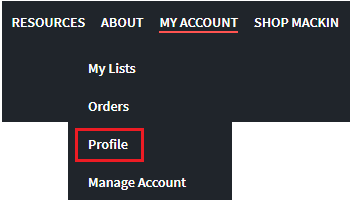 The Profile page gives you the opportunity to establish preferences for your account. To select your preferences, go to My Account > Profile. Select the New Search Engine as your default search method. Include all world language titles in your search. Include EBSCO titles in your search. 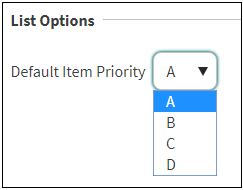 In the List Options section, you can assign a letter (A, B, C, or D) to be your priority default. In the TitleMatch section, you can establish parameters when ordering for multiple schools. 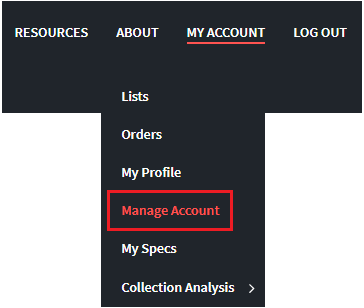 Click the Edit button to assign a default list to each of your collections. Your default designations will be displayed in the full records so you can easily save titles to multiple lists. Click Save after you’ve made your selections.